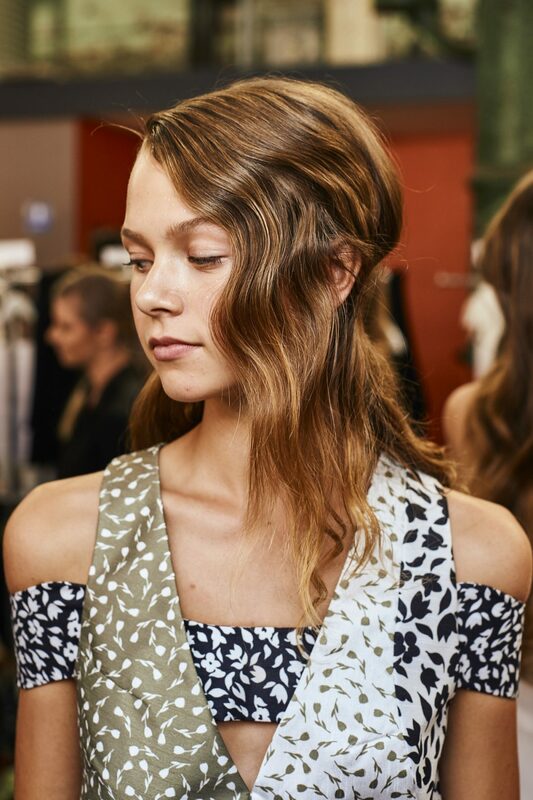 HOW TO create The ‘It Girl’ at By Johnny MBFWA16 by Hair Director Renya Xydis Creative Director Wella Professionals ANZ. 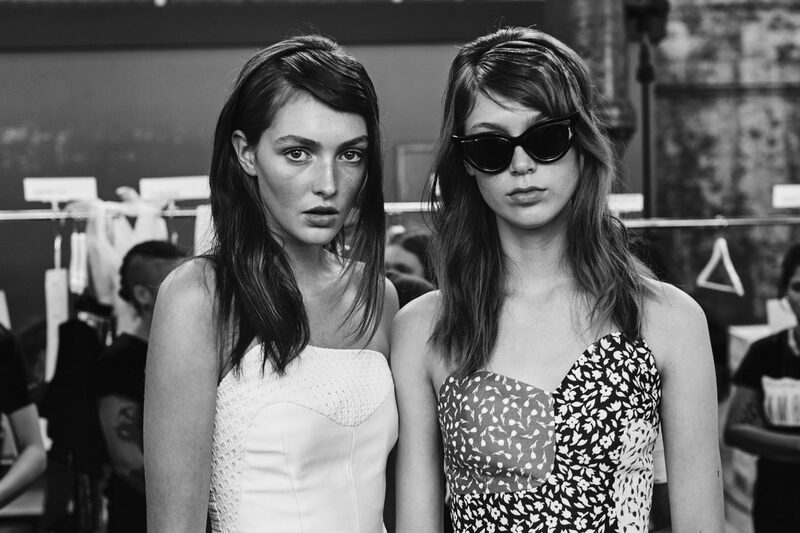 “The collection is really flowery and pretty, so I created the hair look to be pretty, soft and youthful. 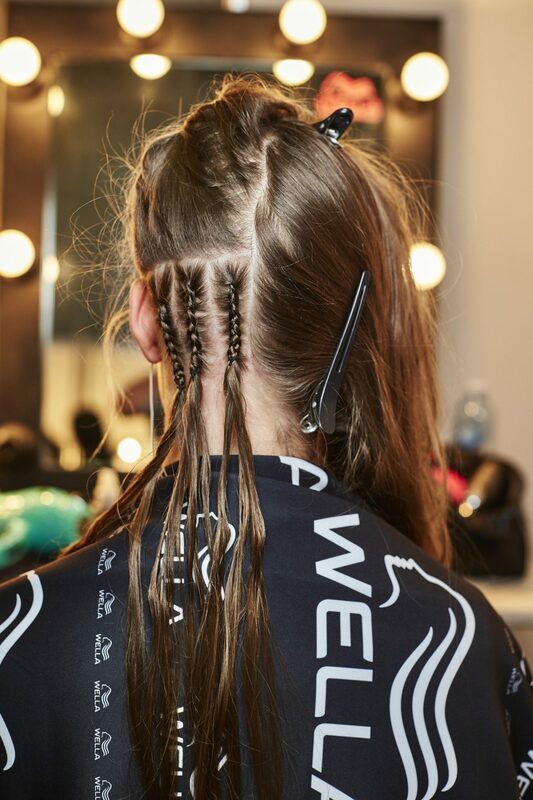 It’s finger waved at the front with braids hidden underneath to pin it and hold some volume at the back, then the lengths are tousled with texture for an undone look.” Renya Xydis, Wella Professionals Creative Director ANZ. Apply Sugar Lift and Ocean Spritz to the roots for texture, blast with a blowdryer to dry into hair. Section a side part and apply Root Shoot on the roots of the front section, then finger wave. Dry section with a diffuser until completely dry. Apply Perfect Me liberally into the mid lengths and ends of hair, then blow dry with a round brush. Section out 3 vertical parallel sections about an inch wide underneath the hair on same side as the finger wave then cornrow and tie off at the hairline so no plaits can be seen. 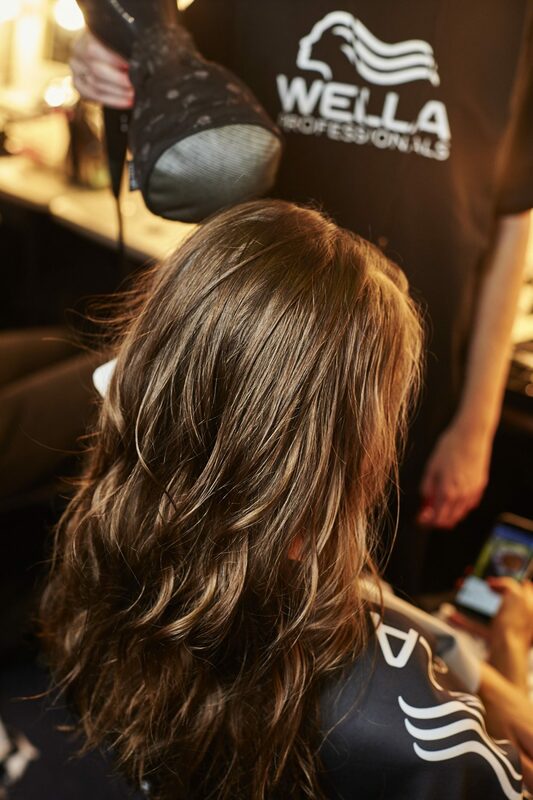 Use the Cloud 9 Waving Wand to create loose waves and apply Dry Me to the hair for matte texture. Pin hair on the side of the cornrows with pins 2 inches in a brick pattern. Tuck hair behind the ears, pulling small sections out in front of the ears and around the hairline to soften. 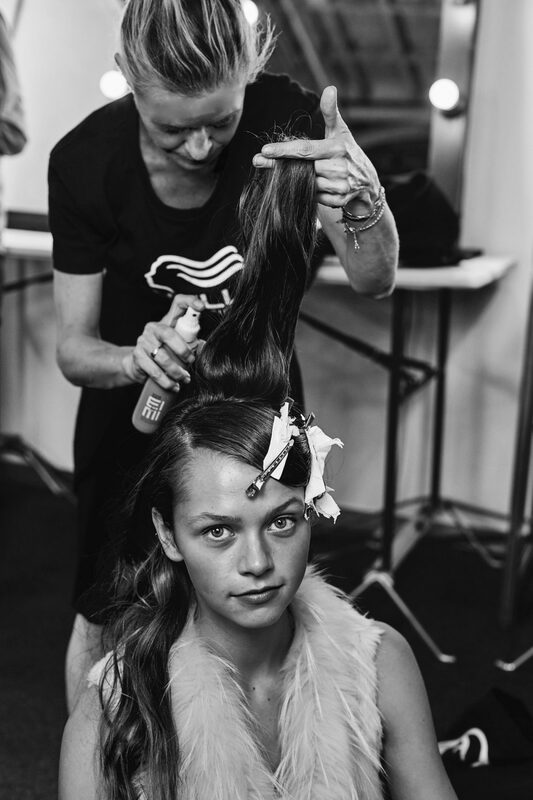 HOW TO create The 'It Girl' at By Johnny MBFWA16 by Hair Director Renya Xydis Creative Director Wella Professionals ANZ.